Born in mainland China in 1991 to a mother from Wuhan, he arrived in Hong Kong as an immigrant at the age of one. He attended a top-tier English-language secondary school in Yuen Long, and regularly supported his local football team, Tin Shui Wai Pegasus. Introduced to the Hong Kong music scene, he now cites indie group The Yours as his favourite local band. Following acceptance into the University of Hong Kong, he represented his all-male hall of residence in three sports, and was elected chairman of its student association. Then, in the early hours of February 9, 2016, he was arrested on charges of rioting, during the “Fishball Revolution” that saw bloody clashes in Mong Kok between protesters and police. What led the boy from Wuhan to choose such a path? The “Fishball Revolution” Photo: Kris Cheng. 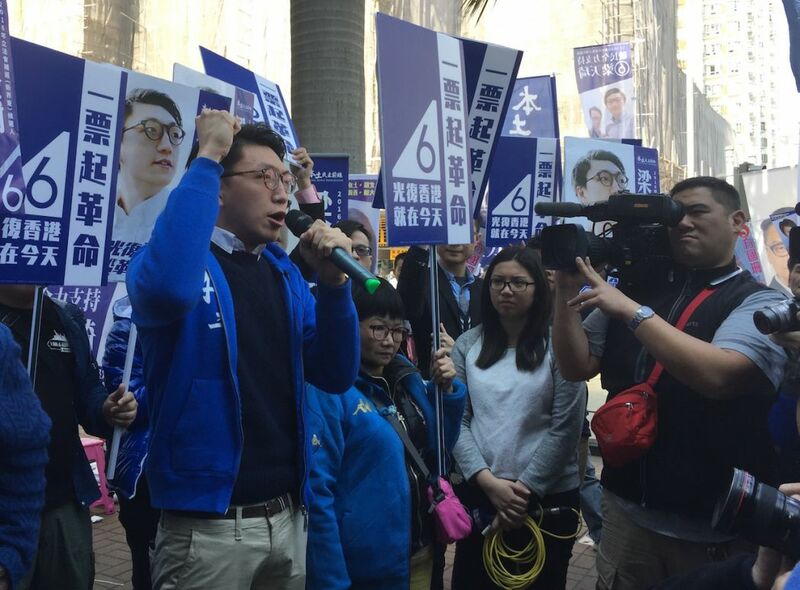 Edward Leung Tin-kei, the face of localist party Hong Kong Indigenous, became the subject of controversy in March this year when his Wuhan roots were made public. 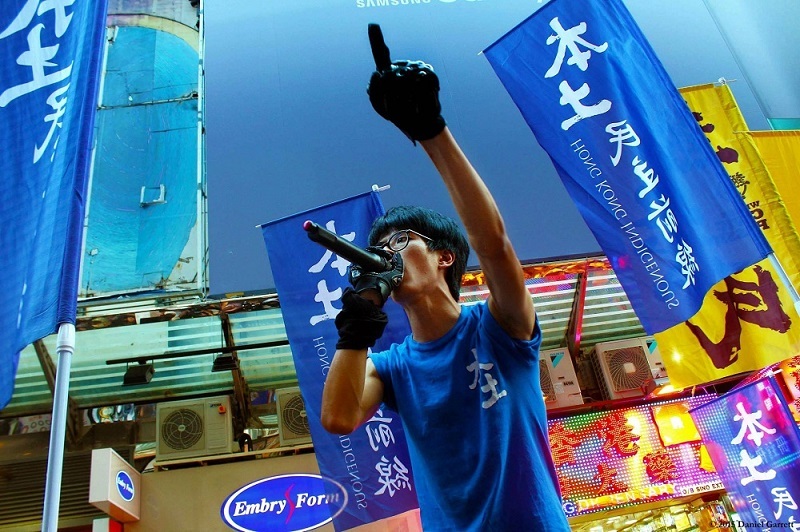 Internet users criticised the hypocrisy of the perceived anti-Chinese immigration – or even xenophobic – stance shared by many localist groups, when one of their own best-known figures was an immigrant himself. Leung responded by claiming that Hongkongers are defined by their “common values, cultures and institutions”, rather than place of birth. Internationally, Leung’s civic – as opposed to ethnic – conception of national identity is hardly a new idea. But how has a common identity been constructed in Hong Kong, a refugee city whose population has exploded almost tenfold since the end of the Second World War? An ever-increasing number of young Hongkongers no longer identify as Chinese, but there is no single all-encompassing reason why. Some immigrants like Leung have come to adopt this nascent identity, calling for Hong Kong’s interests to be prioritised over those of China. Others are less enthusiastic, preferring to retain their Chinese identity despite sympathising with the city’s struggles for democracy and autonomy. Edward Leung Tin-kei. Photo: Chantal Yuen. Glen, 26, was born in China’s Zhejiang province, but he now calls himself a Hong Kong localist. Like Leung, he has almost no recollection of his infant years in mainland China, as he came to Hong Kong at the age of two. He compares the revelations of Leung’s birthplace to “coming out of the closet”, leading the way for greater acceptance of immigrants like himself who have come to embrace the localism movement. Likewise, King Wong, a 20-year-old student activist, agrees that the support for Leung has clarified an important principle: “localism is not racism”. He admits that the ideological underpinnings of localism were not always so clear, and that the movement was sometimes criticised as “fascist” – at least until the appearance of Hong Kong Nationalism (香港民族論) in September 2014. Published by the Hong Kong University student magazine Undergrad, Hong Kong Nationalism was a seminal collection of writings from activists and commentators. Many drew reference to historian Benedict Anderson’s theory that nations were merely socially-constructed “imagined communities”. They refuted the idea that Hongkongers necessarily belonged to the Chinese nation, and cited the city’s own cultural artefacts – such as its television, film and music industries since the 1960s – as elements of a society that has developed independently from China. It would therefore be possible to construct, through “imagination”, an independent nation. Yet in reality, circumstances of birth and formative years appear to be key in determining whether or not mainland-born immigrants grow up to join the ranks of their “enemies”. Civil society in mainland China and in Hong Kong are very different, and some immigrants find it hard to adapt. Although Glen understands the Zhejiang dialect and visits his ancestral home every other year, his parents were very conscious of the need to integrate him into Hong Kong society. His mother enrolled him into a local kindergarten a year earlier than other children. When she discovered that his primary school had, in her opinion, “too many immigrant students”, she removed him, and sent him to a government-run school instead. When growing up, he never experienced any discrimination. King Wong, in contrast, may have experienced a more drastic change of environment. He arrived in Hong Kong from Shantou – a coastal city near the Guangdong-Fujian border – only four years ago, and spent most of his education in mainland China. He spoke the local Teochew and Cantonese languages, and identified as a Chinese person. Although he was educated in Shantou, King Wong’s father was from Hong Kong. When he crossed the border at the age of 16, he attended a local Catholic school, where his new friends commented that his “habits and mannerisms” were unlike those of other mainland Chinese teenagers. Like Glen, he adapted quickly, and did not meet any discrimination. Both Glen and King Wong trace their sense of historical awareness to their parents. During the Mao Zedong years, the Communist Party and its policies led to the deaths of tens of millions, and the persecution of many more. The older generation experienced these events first hand. Before the establishment of the new Chinese state in 1949, Glen’s family of traditional medicine practitioners had owned “almost an entire street full of property” in a city in Zhejiang. As part of the “bourgeoisie”, they naturally became targets of persecution in the 1950s, and their distrust of Communist rule continues today. Similarly, King Wong’s father often brought newspapers from Hong Kong across the border to Shantou, in order to expose his son to the outside world. From these clippings, he learnt about the 1989 Tiananmen Square Massacre. China is not one monolithically nationalist society: some communities appear less susceptible than others to patriotic fervour. Like King Wong, 29-year-old Sophie spent most of her life – until 2014 – in her native province of Guangdong, speaking Cantonese before learning Mandarin. “Nobody really believes in the traditional abstract concept of nationalism in that rural part of Guangdong. 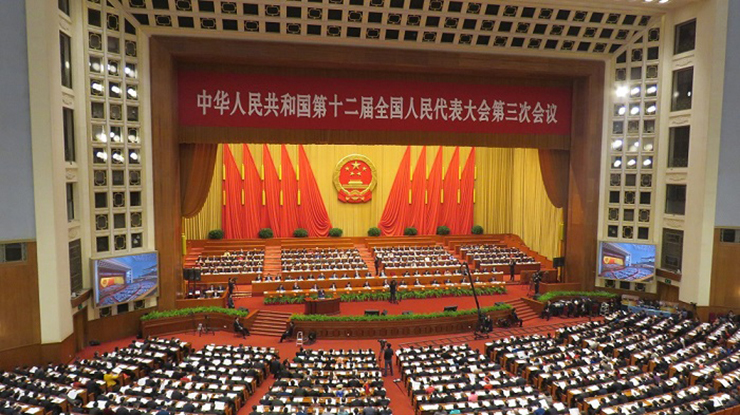 There’s a really local vibe.” Sophie likens the Communist Party to a classical “dynasty”, and points out that political power has constantly consolidated and fragmented between central and regional governments over the 5,000-year course of Chinese history. Rather than grouping all ethnic Chinese into one nation, Sophie has always tended to notice the cultural differences among the various peoples living in China. “National sovereignty has nothing to do with the daily lives of real people… but unfortunately not everyone thinks like this in the inland provinces,” she laments. 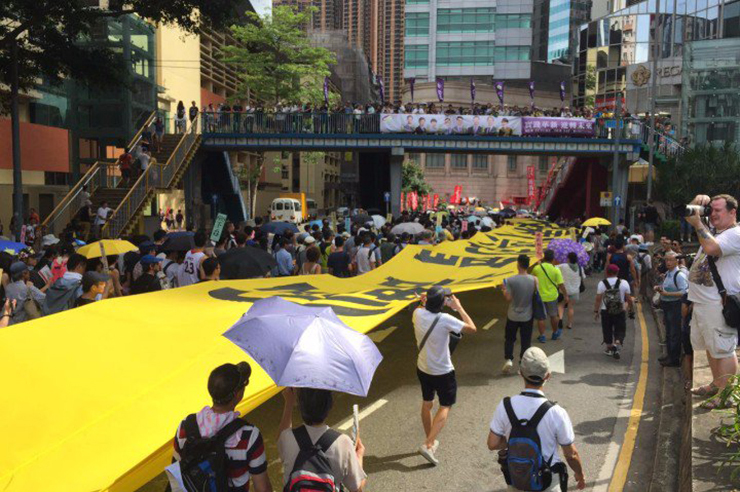 Feeling an affinity with Hong Kong’s democratic values, both Glen and King Wong began their political participation by attending the July 1 rally. But like many others, they became involved in more organised protest groups on September 28, 2014, when police fired 87 canisters of tear gas at protesters in Central and Admiralty, signalling the start of the “Umbrella Revolution”. 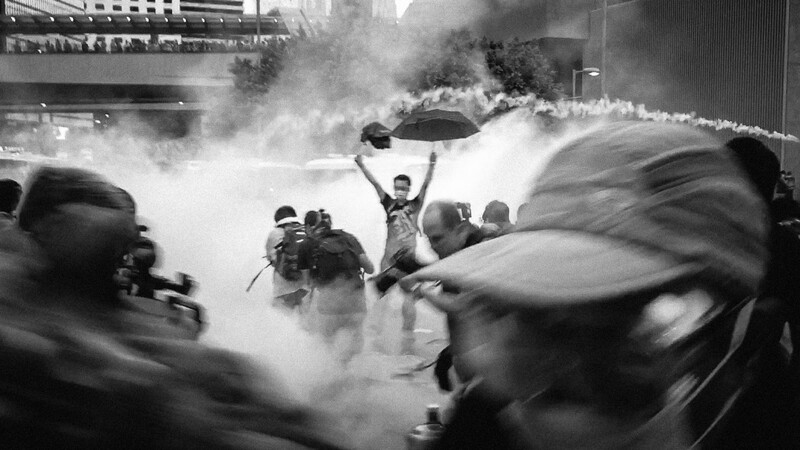 Tear gas during the Umbrella Movement. Photo: Flickr/Pasu Au Yeung. “During the initial stages of Umbrella Revolution, I joined a leftard [idealistic pro-democracy] group,” recalls King Wong, “as I felt that we needed to bring democracy to China and liberate the people in the mainland.” However, he claims that the group was notorious for conducting too much public fundraising, and felt that “there were problems with its finances”. He left the group, disappointed, after several meetings. Seventy-nine days later, the last remaining protest site in Causeway Bay – by then virtually empty – was cleared out by the police. In his quest to investigate why the Umbrella Movement had “failed”, King Wong took to the Internet. 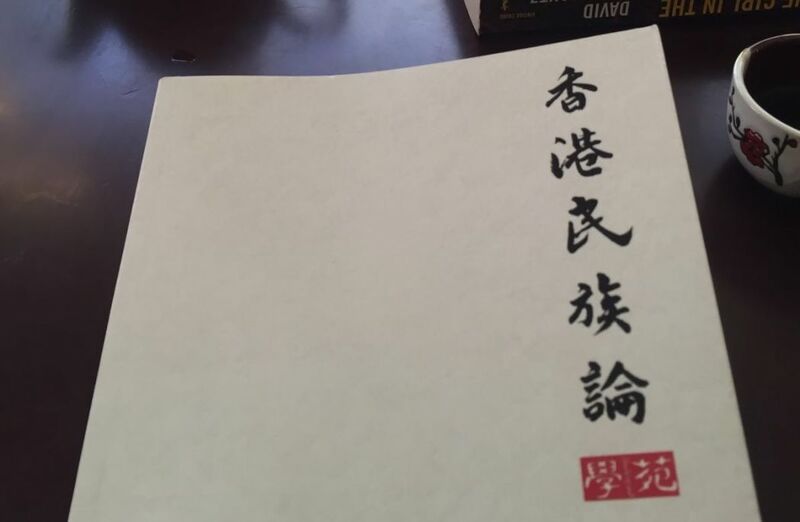 He became exposed to the localist writings of Lingnan University professor Chin Wan and online media outlet Passion Times, and started to contemplate his own identity. 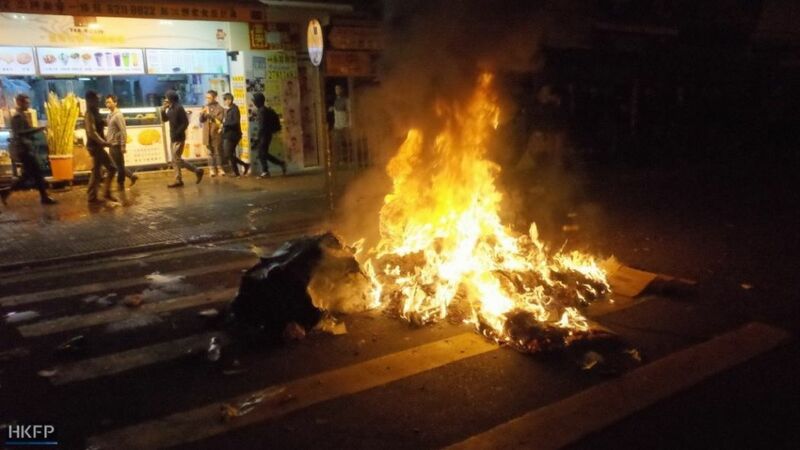 King Wong has now experienced clashes on the front line of protests, and volunteers his time setting up booths for Hong Kong Indigenous and the Hong Kong National Party. He has also done the same work for mainstream pro-democracy parties, but laughs and claims that it was a paid “summer job”. Glen has not officially joined any localist organisation, preferring to act in smaller, more mobile groups with his like-minded friends. His once-persecuted family does not object to his participation in the movement, but only cares for his safety. 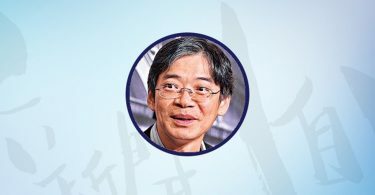 “One of my [mainland-born] friends believes that federalism is the best way forward for China; he is the single person who has come closest to identifying with my point of view.” He adds that many immigrant families would object to their children engaging in dangerous localist political activities, when they still have relatives or business interests across the border. Glen believes that the age at which immigrants arrive in Hong Kong is the most important factor in determining their political beliefs, because “ideologies – once they take root in a person’s subconscious – are very stubborn”. Unless confronted with a sudden event or a policy change, he does not think that many immigrants would readily switch allegiance to the localists. Sophie still identifies as Chinese, despite expressing moral support for Hong Kong localism and independence. 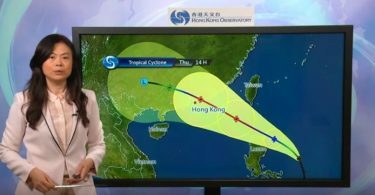 She agrees that she has spent too many years in mainland China to consider herself a Hongkonger, at least for the foreseeable future. Since the 1997 handover, 879,000 immigrants from mainland China have arrived in Hong Kong via the so-called One-way Permits, representing over 12 per cent of the city’s population. China’s Public Security Bureau – not the Hong Kong authorities – approves the immigration applications, limited to 150 per day. Localist groups have demanded a change in these policies. They want Hong Kong to take back the right to approve immigration applications from Chinese authorities, while the Youngspiration political party also advocates Cantonese-plus-traditional-Chinese or English tests for all prospective immigrants. Mainland Chinese immigrants can be seen on all sides of Hong Kong’s political spectrum – including in the nascent localism movement – but ultimately, participation rates remain low. In a June 2015 study, the Hong Kong Institute of Education interviewed over 1,000 immigrants who have lived in the city for approximately four years, and found that more than 90 per cent had never participated in activities held by political parties, district councillors or even community organisations. More than 50 per cent support demonstrations as a means of political expression in Hong Kong, but around 30 per cent oppose protests. Glen is personally cautious about welcoming new arrivals, although he also encourages locals to introduce immigrants to the city’s political affairs. 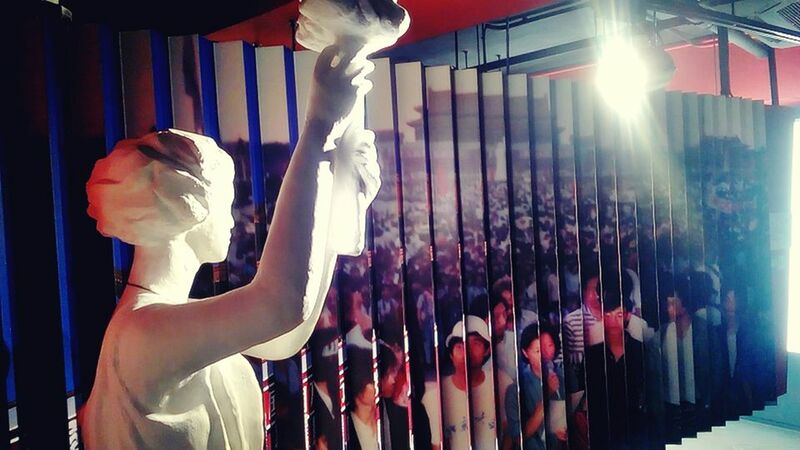 He fears that Beijing aims to gradually change the city’s political make-up through immigration. The names of sources in this article have been changed to preserve their anonymity.